Syndication services can be a real time saver. 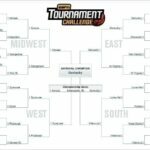 I have used a few of them in the past and found that it can be a great way to spread content across the web. Of course with syndication, comes duplicate content and borderline spamming, so you want to use in moderation. 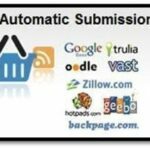 Whether you are submitting a classified listing, updating a social status, marketing products and services, or spreading content, you can find a syndication tool that will aggregate popular sites for you to save you time. 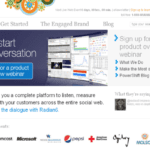 Lets take a look at 5 of my favorite syndication tools and services. Your place to create, manage, and submit your classified ad listing to multiple sites with the click of a button. Vflyer makes it easy to upload your listing information once and then submit to their syndication network. Perfect for real estate agents, automotive dealerships, property managers, and service providers. You can also find pre-built or custom templates that you can use to make your flyer look professional. vFlyer will also create the HTML needed to submit to Craigslist and Backpage. Geared more towards the real estate agent, Postlets is a similar syndication tool to vFlyer. It will allow you to upload, post and syndicate your listing to over 20 of the top classified websites. Create a professional template, add your listing information, and Postlets will do the rest. Want to be able to submit your content to multiple social bookmarking sites at one time? 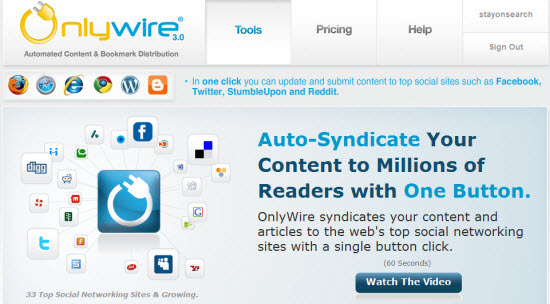 OnlyWire will allow you to submit the URL and syndicate your page to over 20 social bookmarking sites at one time. 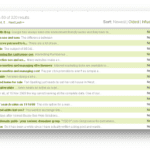 A great way to create backlinks, drive traffic, and increase content exposure. Vendio is an e-commerce platform that will allow you to upload your product list via XML and then submit to multiple shopping sites at once. 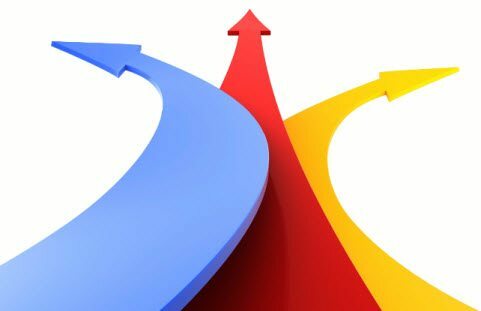 You also receive a Vendio Store that allows you the option of using your Vendio store as your main website. Have the ability to use a pre-built template, unique domain, optimized products, live inventory status, and complete product management. 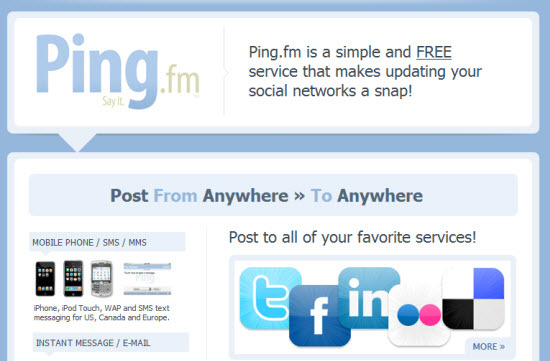 Makes updating ALL of your social networks easy, with Ping.FM. No need to visit each social site manually and update your status. Post a status from Ping.FM and have it syndicate to over 40 of your social networking profiles. Post from the Ping.FM website, a mobile app, instant message, email, and 3rd party apps like iGoogle, Facebook, Twhirl and TwitterFeed. Looking to spread a video you created across the web? TubeMogul is a video syndication and tracking service that will let you upload your video, push it out to top video sites and monitor user engagement across all sites. Organize video campaigns, email and embed reports, gather link intelligence data, update social networks, remove videos if necessary, and schedule video launches. with the TubeMogul video services.